A classic nutrition research text with photographs and evaluations from multiple cultures around the world. Solid comparisons of diet and physical effects observed in the 1930s. A cookbook and so much more. Read the first 70 pages to understand the foundation of why these recipes will nourish your body. Each page has a history note and a recipe. These recipes are quality slow food recipes. A cookbook covering every category of a meal plan from main course to appetizers to breads. Every recipe has beans as a key ingredient. 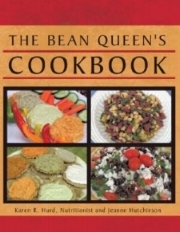 This cookbook will help you increase your intake of beans, one of the key foods for quality of life. A health book written from the perspective that the Bible does communicate truths that apply to our healthy choices each day. The evidence for design is presented in this text providing some of the latest research in a way the non-scientist can understand. Consider the evidence presented in this 2016 text and understand more of your design.